Love the rigor of your analysis. Would you still characterize your certainty in a central bank’s ability to offset impact of ANY external demand shock? I am thinking of the U.S. Oil shock 1973. And if so, is it because of your correct analysis of monetarist theory in Friedman’s quality/quantity theory of many? Keep hammering on, love your work! I think it is extremely important to differentiate between demand and supply shocks. What I argue is that the central bank is in full control of nominal spending (aggregate demand) in the economy and hence the central bank can offset any shock to demand and will do so if it is targeting inflation or nominal GDP. However, the central bank can’t do anything about supply like oil prices shock (for oil importers). The proper monetary policy response to a negative supply shock like the 1973 oil shock is to keep nominal spending growing at a steady rate. That would cause inflation to rise and real GDP growth to slow, BUT if the central bank respond to the shock by tightening monetary policy then the result will be an even bigger drop in economic activity. On the other hand if the monetary policy is eased in respond to a negative supply shock then inflation will increase MORE than needed for a smooth reallocation in response to the change in relative prices (higher oil prices). So laissez-faire again is the better alternative. Must be quite an unnerving policy for the central bankers, to do nothing in such circumstances. Central bankers should set clear nominal targets and leave the implementation of monetary policy to the markets and then go golfing. That doesn’t have to be unnerving at all. In fact being a good central banker could easily be a part-time job. A very nice example of one central bank taking a full view of its aggregate demand responsibilities and another central bank not doing so. Thanks Lars, great post – very grateful. The analysis is excellent. But I think you left out one of the major causes of many past EM crises, which is foreign currency borrowings. It’s true that from a real economy standpoint, a country facing a weaker growth outlook should just let the currency depreciate. Just look at the examples of the US and UK in recent years. But a country with a lot of foreign currency debt, whether public or private, could precipitate a financial crisis if the currency dropped sharply because it will cause the debt burden to spike. The alternative of having to defend the currency via sharply higher rates will probably precipitate a credit crunch too. But it’s an invidious choice with no easy way out. This was arguably a key cause of the 1997 Asian Crisis, and the Hungarian/Latvian crises of 2008/2009. Thanks Tan, but I did not leave out anything. What did the Asian countries and Latvia (and the other Baltic countries) in 2008/9 have in common? Fixed exchange rates! Hungary officially had a floating exchange rate regime in 2008, but hike interest rates aggressively when the forint came under pressure in 2008/9. Hence, the key reason for all these crisis were monetary policy failure aka fixed exchange rate regimes. Foreign currency lending is never a problem in floating exchange rate regimes. A nice piece of common sense. In my opinion above analysis misses a few points. AUD/NZD are commodity currencies both countries are net commodity exporters. Where as TRY is a net commodity importer. Additionally, the article says nothing about the current account picture of the countries. Turkey has a long standing current account deficit and HAS to attract foreign capital, either in form of FDI or portfolio inflows. Obviously the CA deficit and commodity imports are closely related. Furthermore, CBRT (Turkish central bank) has punished local savers for the last two years with negative interest real rates i.e. interest rates below inflation. For a country that desperately needs savings that usually spells trouble, and it evidently did as seen by depreciation of the currency. You could argue that the recent interest rate hike was premature/too high etc. 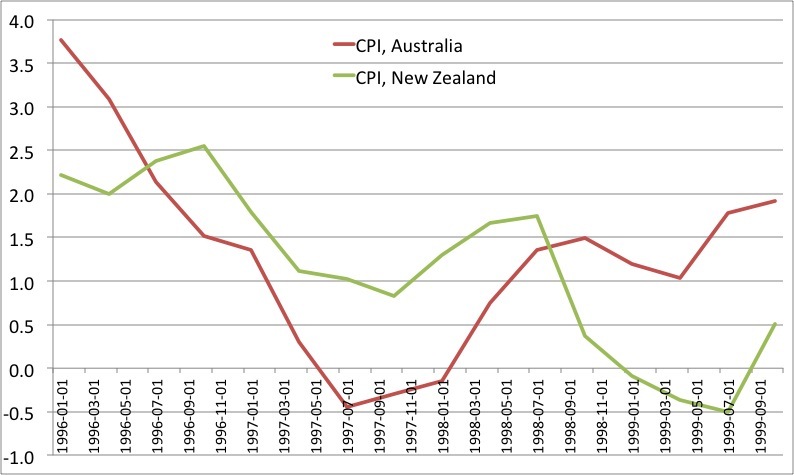 but this argument misses the fact that the country i) needs foreign capital and local savings ii) inflation dynamics are different than AUD and NZD, because the Turkey imports oil and gas in foreign currency and if currency tumbles inflation increases even further. These concerns do not exist for AUD and NZD. iii) Turkish corporates are short foreign currency due to their liabilities in EUR or USD. As local currency depreciates especially small-mid size firms could go bankrupt. iv)Turkish currency has already depreciated by around 20%, so we are already in the adjustment process at the moment. 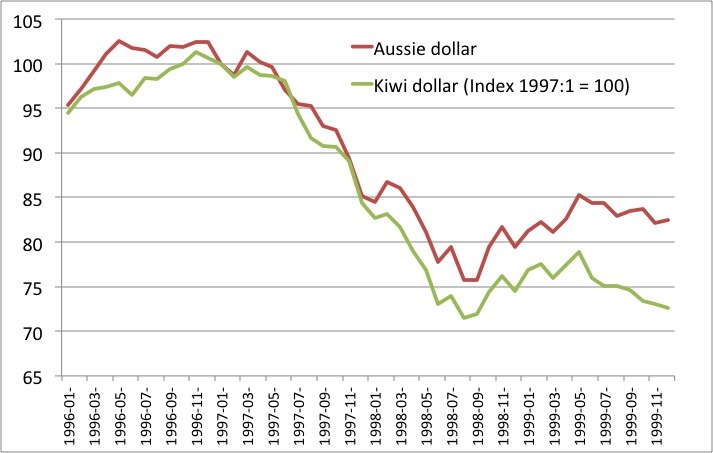 Comparing the current state with AUD and NZD’s depreciation back in late 1990s is a bit off the scale, I think. The absence of any reply to Emrah is telling. Lars replied almost instantly to those who mostly agreed with him, but will of course be judged on how he are able to argue against those very substantial counter arguments that Emrah here presents. I might also be that it is 7.00 in the morning on a Saturday in Copenhagen. Hello Lars how are you doing ? And happy new year. Very interesting comparison, but did you take into account the different fiscal policies during these periods, if there as any? Great analysis. But the trend rate in 97-98 was down whereas Turkey has been up, suggesting very different monetary backdrop. Link is to a graph of external debt I drew. Pretty big difference. 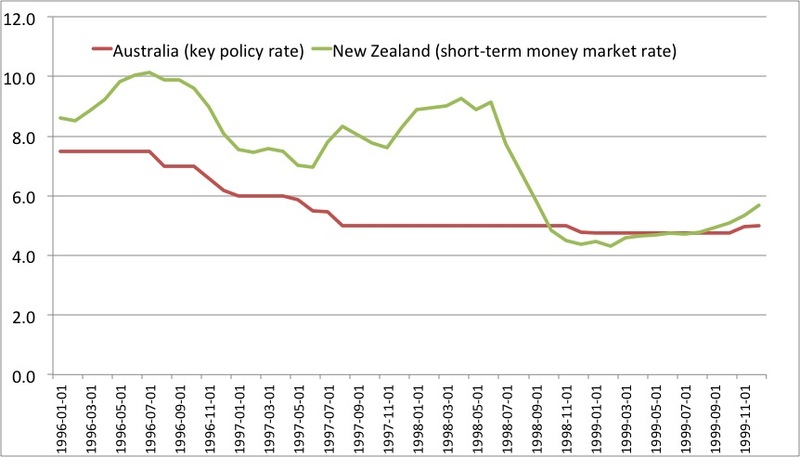 Hey Lars, great post – the RBNZ realised that it made a mistake in the late 1990s, and they have certainly learnt from it. They bring up these sorts of issues themselves on occasion when discussing monetary policy now. 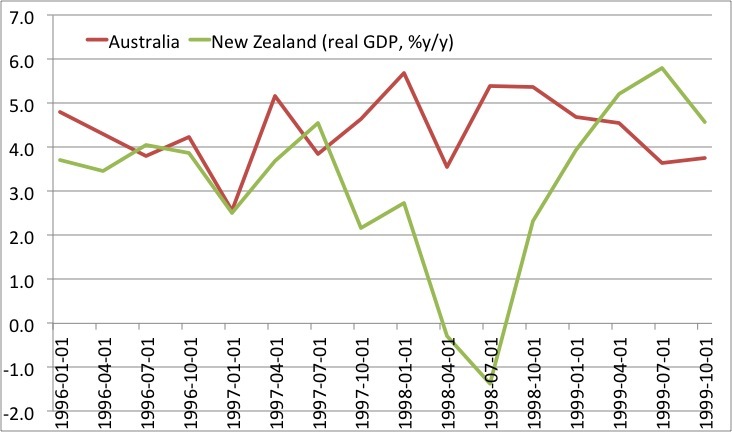 Hey Simon, the external debt figures have been significantly revised since then – the New Zealand story isn’t quite as much of an outlier anymore in terms of external liabilities.